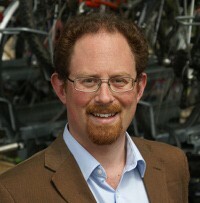 MP Julian Huppert has urged Cambridge University to introduce the living wage for its employees. He believes if the university were to pay the living wage of £7.45 an hour in recognition of the high cost of living in the city it would encourage other organisations to follow suit. Julian’s call to the university comes after the Lib Dem-run Cambridge City Council recently agreed to introduce the living wage for its employees. “The university and colleges are significant and totemic employers in the city, and if they were to move to pay the living wage, it would both be good for them and their employees, but also symbolically important in persuading other organisations to do the same thing,” added Julian in his letter. Julian said later: “I hope the university will consider introducing the living wage because it would set a real example that hopefully other employers in the city would follow.